The Foundation for the National Institutes of Health (FNIH) Biomarkers Consortium (BC) has launched a project designed to seek regulatory qualification of new biomarkers that predict the change in joint damage over time from osteoarthritis (OA) in the knee. The PROGRESS OA: Clinical Evaluation and Qualification of Osteoarthritis Biomarkers project, managed by the FNIH, is the second of a two-phase strategy intended to address the most basic hurdles to the development of new treatments for OA. The project plans to validate the highest performing radiographic measures, MRI measures and biochemical markers from the Phase I OA Biomarkers Consortium Project, completed in 2015. PROGRESS OA will use data from previously-conducted clinical trials to determine the imaging and biochemical biomarkers that can be used as clinical endpoints, prognostic markers of disease progression at baseline, and prognostic markers of disease progression. 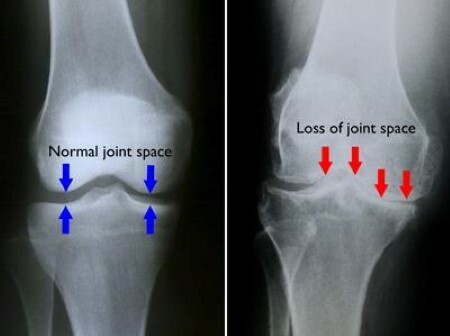 The consortium aims to ultimately learn whether those biomarker measurements have greater prognostic ability of disease progression and/or are more predictive of treatment response than the existing standard of radiographic joint space narrowing (JSN). In so doing, the consortium hopes to address the dearth of tools to predict and monitor OA progression that has impeded efforts to evaluate current therapies and develop new treatments. The consortium plans to use results from its new study in regulatory qualification submissions seeking approval to use the biomarkers in OA drug development. “The goal of this three-year project is to validate the novel radiographic measures, MRI measures and biochemical markers from the Phase I OA Biomarkers Consortium Project, and to qualify those biomarkers via the formal regulatory qualification process with both the FDA and EMA [European Medicines Agency],” the Foundation stated. The project team includes the NIH’s National Institute of Arthritis and Musculoskeletal and Skin Diseases (NIAMS), academic researchers focused on OA, the Arthritis Foundation, and partner companies and academic institutions that include Duke University, Kolon TissueGene, Merck KGaA, Samumed, University of Sydney, and a partnership of Pfizer and Eli Lilly. On July 18, Pfizer and Lilly reported positive topline results from a Phase III trial of their non-opioid OA pain candidate tanezumab, saying that the monoclonal antibody met all three co-primary endpoints in the A4091056 study, designed to assess the efficacy and safety of subcutaneous administration of tanezumab compared to placebo in patients with OA of the knee or hip.